Faceplant Dreams...P.S. I Love You Accent Pillow. P.S. I Love You linen accent pillows are uniquely designed...each accent pillow is embellished with a combination of screen printing & embroidery. The accent pillows include the pillow insert & are finished off in the back by three natural coconut buttons. P.S. 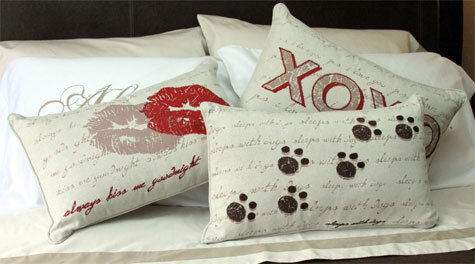 I Love You Accent Pillows...the perfect gift for any occasion!!! See Faceplants Dreams "P. S. I Love You" pillowcases. Faceplant Dreams P.S. I Love You Accent Pillows. Faceplant Dreams Accent Pillows are made with pride in India.